Home / Entertainment / gaming / PC / Steam / trailer / Finally! The Story Continues In Secret World Legends – Free Expansion Out Now! Finally! The Story Continues In Secret World Legends – Free Expansion Out Now! Grab your passport, book your flights, and buckle up: you’re going to South Africa! Funcom is thrilled to announce that Dawn of the Morninglight, the first expansion update for Funcom’s shared-world RPG Secret World Legends, is now available. And the best part? It’s fully free to play. Gamers can download the base game with the new story expansion now and play for free. Dawn of the Morninglight adds another region to the already impressive roster of real-world locations in Secret World Legends. In addition to visiting New England, Egypt, Transylvania, and Tokyo, players can now jump on a plane and head to South Africa where the Morninglight, a cult that prides itself as being the “fastest growing spiritual movement in history”, has set up shop. Your job? 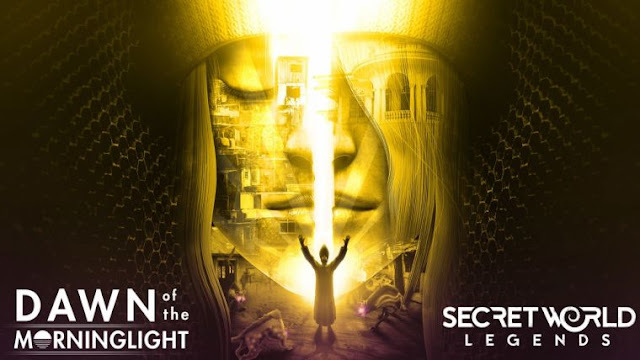 Infiltrate them, rise within their ranks, and uncover the cult’s sinister truth.This free story expansion presents the continuation of Secret World Legend’s story set after the events of Kaidan and players’ recent ascent through the Orochi Tower. Those who have completed the Tokyo storyline will finally see their story continue. Secret World Legends was released on June 26th and went on to exceed Funcom’s expectations for the title, breathing new life into the Secret Worlduniverse. Set within a dark and mature story universe, Secret World Legends plunges players into a sweeping adventure into the supernatural underbelly of myths and legends that exists in the shadows of our own realm. Travel the globe in pursuit of mysterious forces threatening the world, using your wits and abilities to solve complex investigations and uncover the truth. Funcom also announced last year that Johnny Depp’s production company Infinitum Nihil have acquired the rights to produce a TV show based on The Secret World. Secret World Legends is available on www.secretworldlegends.com and Steam.